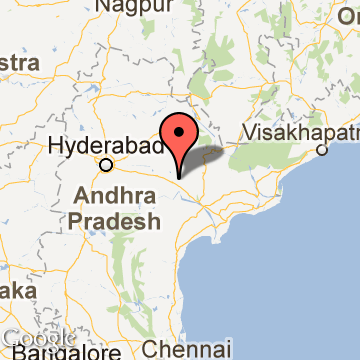 Andhra Pradesh is situated on the southeast coast of India, bounded on the east by the Bay of Bengal. Inland, Andhra Pradesh shares its boundaries with Orissa in the northeast, Chattisgarh in the north, Maharashtra in the northwest, Karnataka in the west and Tamil Nadu in the south. The state can be broadly divided into three regions: Coastal Andhra in the east, Telangana in the north, and Rayalseema in the south. Its two biggest rivers, Godavari and Krishna, both flow across the state from west to east into the Bay of Bengal. The history of Andhra Pradesh dates back to the epic era of the Ramayana and the Mahabharatha. But the documented history points to 236 BC, when Satavahana established a kingdom and a dynasty around the modern Hyderabad. During the reign of 450 years, Buddhism flourished in the kingdom. The rulers were followers of Brahmanism, but the women folk practiced Buddism. It was during this period that Buddhism spread from these shores to China, The far East and to Sri Lanka. The Ikshvakus succeeded the Satavahanas and ruled the kingdom for 57 years. The Pallavas annexed the area South of River Krishna and ruled till the end of 6th century. Then came the dynasties of Chalukyas and the Kakatiyas. The Kakatiyas established themselves as rulers of a Telugu speaking people. The glorious reign of the Kakatiyas came to end in the 14th century and for the first time Telugus came under a Muslim regime that brought with it a totally different set of customs, language and religion.